Emeritus Professor Rob Marrs, from the University’s School of Environmental Sciences, has given evidence to an All-Party Parliamentary Group (APPG) debating the best way to manage the risks of wildfires. The APPG, organised by the Game & Wildlife Conservation Trust, sought to address a number of questions including what is the best way to reduce the risk of damage and injury from wildfires and how can the level of preparedness for wildfires be improved. 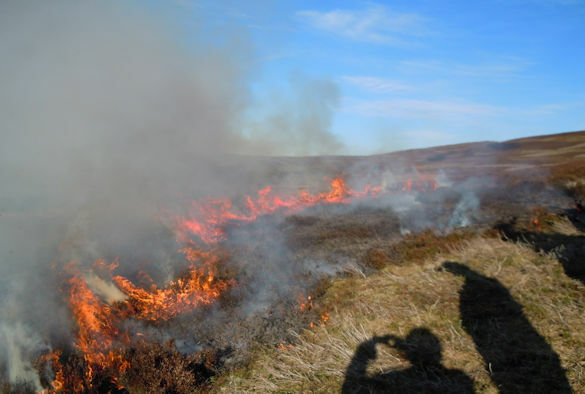 Professor Marrs, an expert in moorland ecology, recently published findings of a 60-year study on prescribed burning in Teesdale. Published in Nature Geoscience, Professor Marr's research found that prescribed burning, if carried out on a sensible rotation, can reduce fire fuel loads, protect against more severe ecosystem damage, allow better access for fighting wildfires and promote faster recovery post-wildfire. At the APPG, he explained the importance of good factual evidence in deciding on the beneficial role that shooting and farming management can have in reducing wildfire risks.